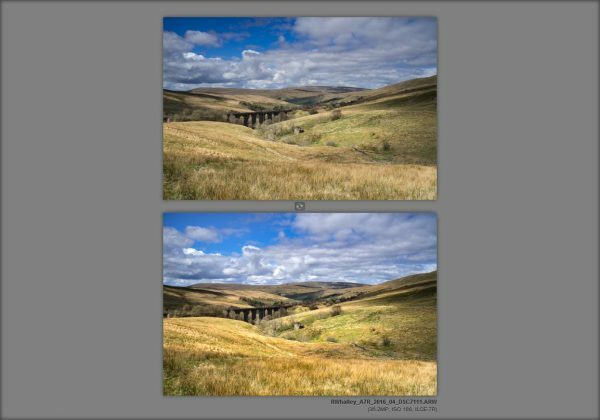 Amongst photographers new to editing with the Nik collection of plug ins (and possibly even for experienced users), there is an often asked question. Which should I use, Nik Viveza or Color Efex Pro? There is another version of this question which is “what’s the difference, don’t these both do the same thing”? Initially the two tools can appear to overlap a lot. 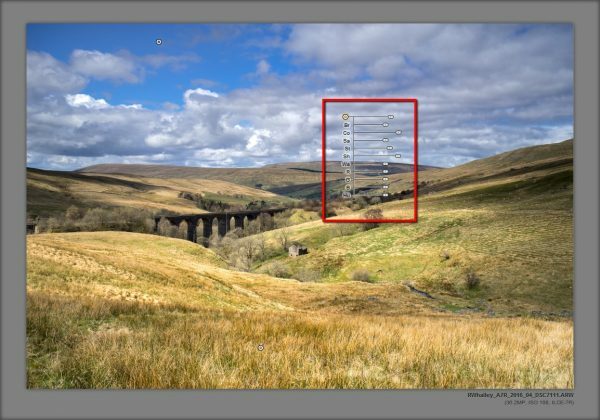 They both allow you to edit colour images and both allow you to adjust colours, saturation and contrast. What I would like to share with you is a way of thinking about these two tools so that you can chose the best one for the image you are working on. All image editing should really start with an assessment of the image. What problems are to be corrected? What improvements need to be made? And most importantly, how do you visualise the finished image appearing. Once you understand this you have prepared a great base for making the necessary changes. Take the example of the image above. The lighting is well balanced although the sky might be a little too dark and overall the image may be slightly under exposed. 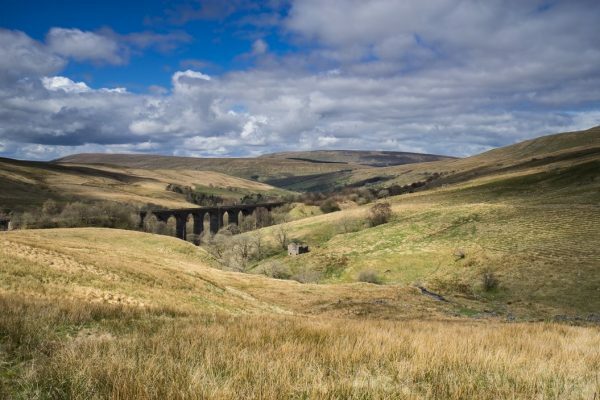 The colour and contrast of the foreground grass is weak. The image also lacks a little saturation. I really envisage this image with more contrast and colour as well as having deeper shadows. Viveza is all about tone and colour correction/enhancement. As a Landscape Photographer it’s important to me to correct and enhance my images with a natural appearance and Viveza can do this. Let’s look at how we can address some of the changes to the above image. The first adjustment is to lift the exposure of the image slightly. 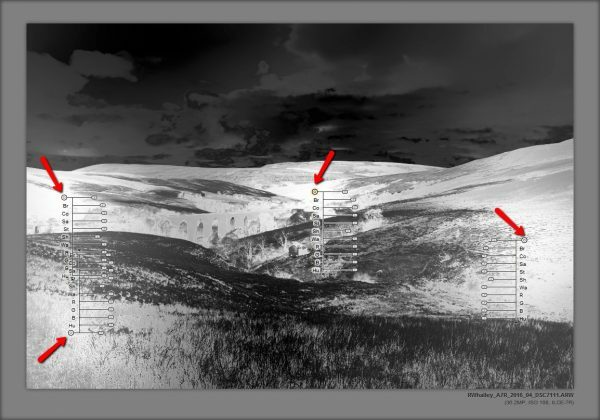 This can be achieved using the Levels and Curves tool as shown below. By setting the white point as shown the entire image is lifted and more engaging. Next I can add a control point to select the grass in the foreground. You can see the control point and the selection in the following shot. The areas in white are what Viveza has selected so that an adjustment can be applied. 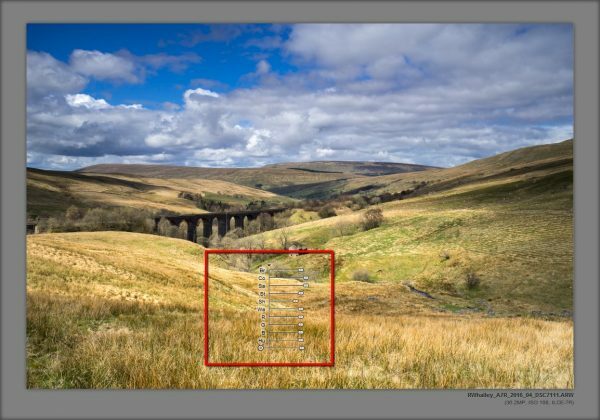 Contrast and saturation are then applied to this selection together with a reduction in the Shadows slider. The shadows slider is used normally to open areas of shadow but you can also reduce the slider to increase the appearance of shadows. You can see the adjustment in the following screenshot. Next we can lighten the blue sky which is really too dark, possibly because a polarizing filter was used. 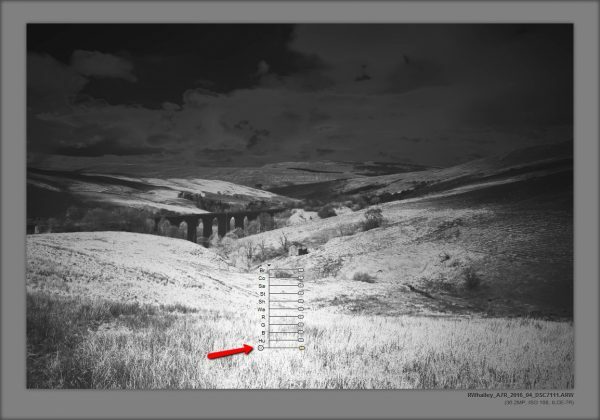 This adjustment was achieved using a control point and an increase in the Shadows slider. This was also accompanied by a reduction in saturation. Additional structure and contrast was then introduced to the clouds to give them more prominence in the frame. An increase in the Shadows slider also server to lighten these a little and prevent them from becoming too dark. Next I decided to select the areas of shadow around the frame and make these a little darker. 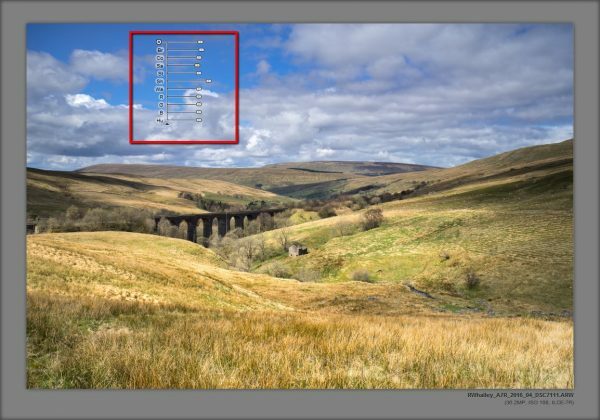 This was achieved using a number of control points which were then grouped together before the Shadow and Brightness sliders were applied. The final step was to add a little global saturation to the image. The finished version is shown below. The finished image is now more appealing and when with the original (see below), the original image now appears flat and lacking in depth. These enhancements were achieved primarily using adjustments to the contrast and tones in the image to produce a natural look. Achieving such adjustments is where Viveza’s strength lies. Most images benefit from adjustments in Viveza and it should form a core tool in your workflow. In contrast to Viveza, you should think of Color Efex as a collection of special effects filters. Trying to achieve the adjustments performed above to the tone and contrast of an image would be much more difficult. But if you want to add special effects such as a Vignette or simulate faded print film, Color Efex is perfect. When deciding which tool to use, consider the adjustments you want to make. Think of Viveza as an essential step to correct your image ready for any further enhancement. Think of Color Efex as an optional step to apply special effects to your image. 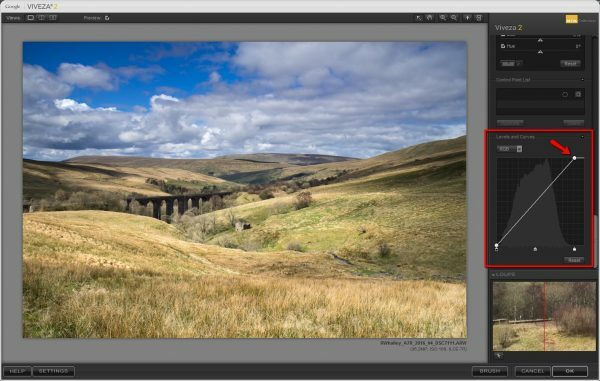 Want to know more about the Nik Software? Take a look at my range of books on Amazon. You can also find some of my books published here in the Lenscraft Shop.